We feel like a broken record reporting every month about broken records. September 2018 will mark the 36th month of consecutive year-over-year monthly sales gains for plug-in vehicles. Every month InsideEVs tracks all the plug-in EV sales/deliveries for the United States by automaker and brand. The 2018 calendar year has been the most interesting in the history of the segment, to say the least. Deliveries started off slow, but the momentum quickly changed. Now, each month is set to blow the ceiling off the past. In fact, four of the five best-selling months of all time for electric vehicles have all happened this year. We have no doubt September will top the list. While July didn't quite reach our estimate of 30K plug-in electric vehicles sold, it was still another promising month for the segment. Historically, July sales have failed to pass June sales, primarily because June is the end of the quarter. With that being said, August deliveries have always exceeded that of July and this August was no exception. In fact, it soared to the top of our list of the best months of all time for electric car sales. Now, September is basically behind us ... a month that historically fares well as it's the end of Q3. For reference, in 2016 and 2017, September was the second-place month in EV deliveries for the year, only exceeded by that of December. Thus far, an estimated 190,046 plug-in electric vehicles have been sold in the U.S. in 2018. We're down to only one quarter left before the year goes into the archives (and the record books). This month's results could seal the deal for what may be a year that eclipses the 300K-mark, but there's no way to know for sure. Much of the success of that estimate depends on how many Model 3 vehicles Tesla delivered in September, as well as how many end up in U.S. customer driveways in Q4. Additionally, we have to ask ourselves if any other automakers are going to ramp up their efforts, or if numbers will remain somewhat flat. In September 2017, an estimated 21,242 plug-ins were sold in the U.S. This August we saw nearly a 100-percent gain from last year's numbers. Can September pull that off as well? Will we see deliveries north of 40,000 this September? We believe the number will be even higher. Would it surprise you if sales surpassed 45,000 in the U.S.? That sure would be epic! How might this huge number play out? Below are early estimates for GM and Tesla deliveries that are informing our expectations for the month of September. These are not our final sales estimates. These early estimates are based on data through Friday, September 28th. For these early estimates, projections were made for Saturday and Sunday U.S. sales for Tesla. Depending on how well Tesla executes deliveries over this weekend, we could see the final number increase or decrease slightly. For GM, because the quarter ends on a Sunday, we expect that Monday, October 1 sales will be included in Q3 totals. So, projections for Chevy Bolt/Volt were made for Saturday, Sunday, and Monday deliveries. Bolt inventories have increased to 4,000 units in transit or at dealers, giving it healthy inventories headed into the end of year sales rush. But our early estimates indicate only slight improvements for the month of September for the Bolt. 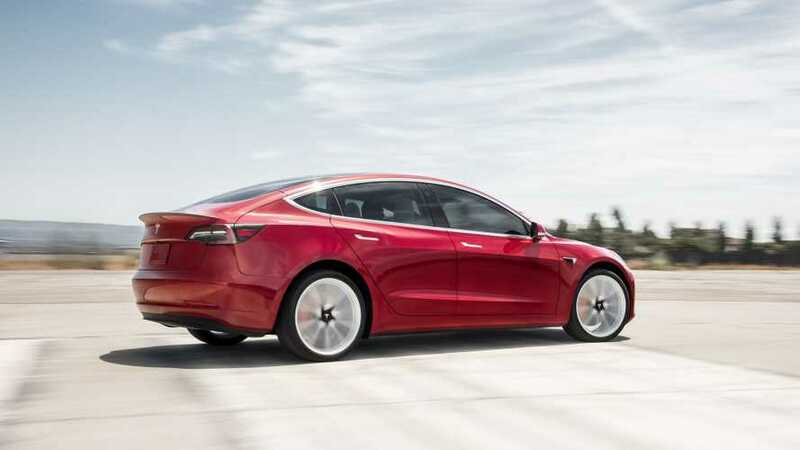 If Tesla is able to meet our expectations this weekend, we should see approximately 4,000 Model S sedans and 4,000 Model X SUVs delivered in the U.S. in September. More importantly, we expect the Model 3 to again set multiple new records, exceeding 22,000 Model 3s in the U.S. for the month. We also estimate that GM delivered just over 1,300 each of the Chevy Bolt EV and Chevy Volt this month. Disclaimer: These early estimates are based on projections for the last few days of the month, so they are not our final sales numbers. Keep in mind our delivery numbers are for U.S. deliveries only. We are also expecting as many as 2,000 Model 3 deliveries to Canada as well this quarter. We'll finally know this week how our estimates stack up, since GM is expected to report quarterly numbers on Tuesday. We will not have final Tesla estimates until we complete our tracking for the weekend and Tesla provides their quarterly sales. Last quarter, Tesla provided their data very early, on a Monday morning several days before we expected them to. So we are providing our early look a day earlier than we have in the past. At the moment, we are not sure when Tesla will release their final numbers. But, when they do, we'll make any necessary final adjustments and post our final estimates on the Plug-In Sales Scorecard. Keep yourself tuned in and refreshing the pages during the coming days as we put the numbers to the dialogue. We will begin reporting EV sales Tuesday morning (October 2, 2018) and continue through the end of the week. However, Tesla may jump the gun and release its report on Monday, October 1. For now, below are some questions to ponder. If you have a compelling question, drop it in the comment section and we'll consider adding it to the monthly report card. In the meantime, what are your estimates? How high will Tesla Model 3 U.S. sales soar above all others? Will Tesla's end-of-quarter U.S. delivery numbers for the Model S and Model X be as impressive as that of the past despite the growing Model 3 delivery ramp? Is September the month that Toyota Prius Prime deliveries bounce back more convincingly? Now that the Chevrolet Volt has surpassed the Chevrolet Bolt EV for overall sales on the year, what story will the quarter tell as GM finally reports official sales? 2018 Nissan LEAF U.S. sales were on the rise again in August. Will sales improve as the year moves on or continue to slide as customers are waiting for the upcoming 2019 model? Honda Clarity Plug-in Hybrid sales have really impressed, especially in the last four months. How many did Honda deliver in September?